The new version of the Toshiba KIRA (Kirabook) uses the same quality chassis for the third year running. It has a full HD IPS matte non-touch screen and I notice this specific model is not on Toshiba's European website (there are 3 Kira 10's and it looks like the 10H, the 10J has a touchscreen). As such I suppose its not an ultrabook has very good aesthetics but is expensive. Measuring under 18mm in height and weighing just 1.1kg, the Kira features an Intel Core i7 processor, a 256GB solid state drive and a full HD display so is a powerful laptop in a compact design. Intel Wireless-AC 7265 dual band wifi module included (802.11ac). Harman/Kardon stereo speakers. Toshiba KIRA-10D news and review links. We can't find this in many outlets but where you can, it's worth looking at. A 13.3-inch laptop with discreet graphics, in under 1.3 KG! Our favorite review is fron Notebookcheck. Click the review link for detailed information. The HP Stream 13.3 is another $240 laptop based around the Intel Celeron N2840 dual core Cherry Trail platform. It has a minimal hardware footprint like 2GB of RAM and 32GB of flash storage. The 13.3" displays features a a fill HD 1920x1080 pixels resolution. At 1.1kg it is lightweight for a 13.3" laptop. In regard to connectivity it features Bluetooth 4.0 and WiFi b/g/n. The MSI GS30 Shadow is from the MSI Gaming Series - it's a 13.3" notebook of only 1.2 kg and 19.8 mm in height. The case is sleek and lightweight aluminum. The computing power is provided by the Intel Core i7-4870HQ processor which goes up to 3.7 GHz in Turbo, 16GB RAM and two SSDs in Super RAID array along with integrated graphics in the form of Intel Iris 5200 Pro. The all-new Apple MacBook 12-inch laptop (2015) comes with exciting technologies such as USB-C charging/connectivity and a tactile feedback touchpad. It is built around Intel's Core M platform with a 1.1GHz processor and 8GB of RAM. With 256 or 512GB of SSD Storage it features sufficient storage for most usage scenarios. At 1.31cm at its thickest point, this device really is slim. It weighs 920g and packs a 39.7Wh battery which should last for up to 9 hours of web surfing. It's silent! The HP EliteBook Folio 1020 G1 is a fanless laptop based on Intel's Core-M Broadwell platform. It packs 8GB of RAM and up to 512GB of SSD Storage. The processor clocks at 1.1GHz and has a Turbo-Boost of up to 2.6GHz. At 1.21kg it is very lightweight for a 12.5" laptop. In terms of ports it offers a microSDXC port, 2 USB 3.0 ports, HDMI and a headphone jack. The Samsung Ativ Book 9 (2015) is a new Ultrabook that comes with a 12.2" display with a whopping 2560x1600 pixels resolution. Furthermore the display is capable of putting out a very bright 700 nits in outdoor mode. Battery runtime is supposed to be 10.5 hrs under "low usage" scenarios. 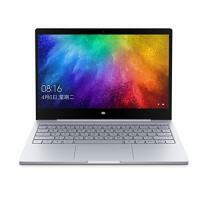 The laptop is built around Intel's Broadwell Core-M platform, so perfomance wise it won't be a powerhorse but should be suited for most day-to-day-tasks. The ASUS UX305 is a new Ultrabook powered by an Intel Core-M dualcore running at clockspeed of 800MHz up to 2GHz Turboboost. It packs a 45Wh battery for sufficient battery life. The 13.3" features a maximum resolution of 3200x1800 pixels supported by a Multi-Touch layer. The device has 3 USB 3.0 ports, a microSD as well as a microHDMI port. Bluetooth 4.0 as well as WiFi ac is supported. 1.2kg for a 13.3" Laptop is really lightweight and makes it perfect to carry around all day long.